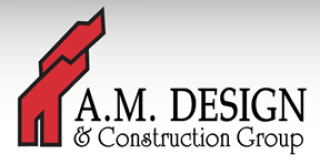 Being one of Louisiana’s Premier builders, A M Design & Construction Group, is innovative and service – oriented design / build contractor, serving the greater lafayette area for over 25 years. Earning a degree from USL’s School of Art and Architecture has provided owner Ali Malekian the tools necessary to design a home with many unique details and functional elegance. Combined with his construction expertise, Ali will take your concept effectively to the design table, guide you toward your selection process, estimate your project’s cost, and then move your plans into production. Ali personally supervises every project himself, making him the perfect choice as your custom home builder. While these credentials are important and should be of interest to homebuyers, the distinction that sets us apart from other home builders is our strong attention to detail on the job and excellence in quality materials and workmanship. We are licensed by the State of Louisiana and fully insured. We are long-time members of the Acadian Home Builders Association, as well as the Louisiana Home Builders Association and the National Association of Home Builders. A M Design & Construction Group also has a continuous inventory of speculative homes, ranging from 1,100 sq. ft. to 5,000 sq. ft., all with superior design and unique architectural details that give each home a customized feel. All our homes are outfitted with designer colors, lighting and plumbing fixtures, and top quality flooring and appliances. Whether first-time homebuyers, growing families, or downsizing empty-nesters, we can design and build a home to fit your needs, your style, and your budget. We pride ourselves by doing quality work and providing every client with a unique, personalized project. Check out what we have to offer and contact us to see how we can assist in turning your dreams into reality. To schedule an appointment to meet with A M Design & Construction and design the home of your dreams please call Kevin Rose of RE/MAX Acadiana at 337-303-7462 today, and he will help you prepare for your meeting.